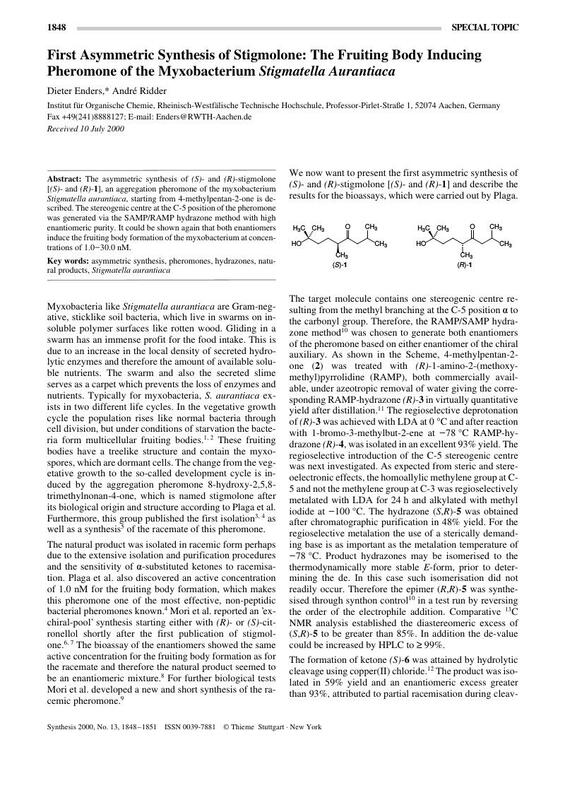 The asymmetric synthesis of (S)- and (R)-stigmolone [(S)- and (R)-1], an aggregation pheromone of the myxobacterium Stigmatella aurantiaca, starting from 4-methylpentan-2-one is described. The stereogenic centre at the C-5 position of the pheromone was generated via the SAMP/RAMP hydrazone method with high enantiomeric purity. It could be shown again that both enantiomers induce the fruiting body formation of the myxobacterium at concentrations of 1.0-30.0 nM.